I’m very choosy about what I use on the kids, especially since Alma. But, sometimes wading through all the choices can be daunting. I have to admit I clapped my hands and squealed the first time I came across The Honest Company. I greedily read everything about how it started, their mission and what they offered Moms like me, who are looking for new, progressive options their families. I love planet friendly, human friendly, CUTE products with sharp design. Sadly, shipping them to Canada was expensive. Sigh. The Honest Company at Well.ca. When I heard the Honest Company was coming to well.ca I clapped and squealed all over again. I let Well.ca know how excited I was and they sent me a few things to try to give my own Honest opinion AND a $30 gift card to give away to one lucky reader so you can try them too! 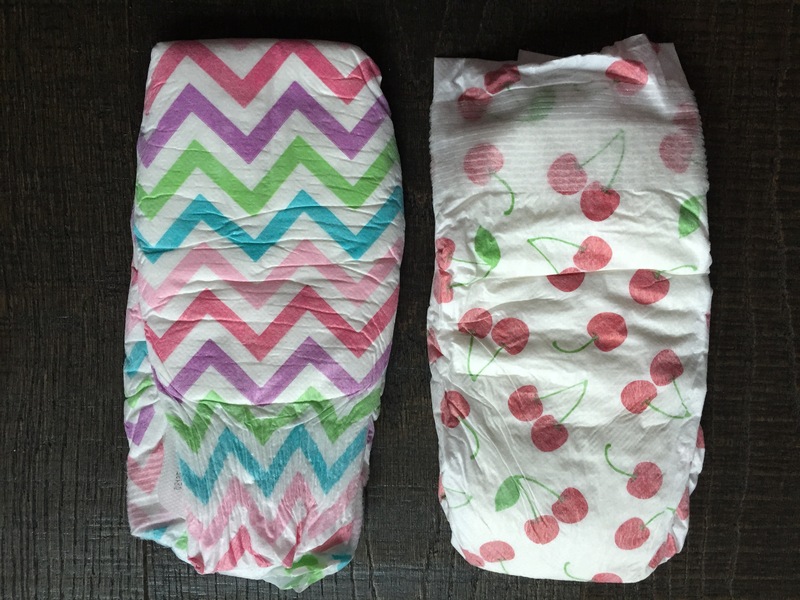 These diapers have CUTE covered in spades. 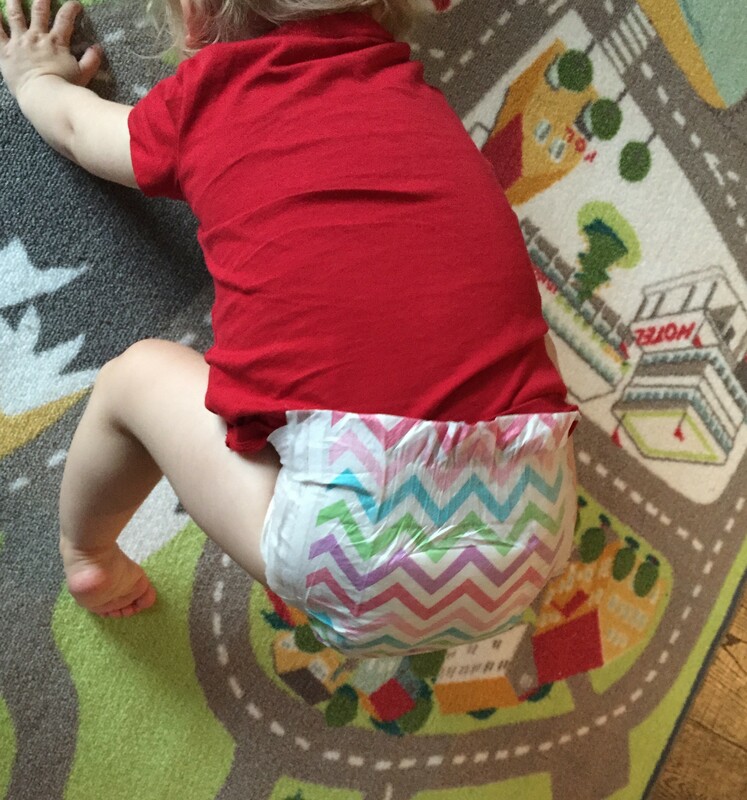 We tested the cherry/chevron combo. I love that they are unscented, fit well (nice and tight around the legs), and don’t gape at the back. Alma has become a “diaper digger”, sticking her hand back there and pulling out whatever (yuck). These stay nice and snug at times when she’s not wearing a onesie or her tights slip down a bit. They hold wetness well and don’t droop unless she’s seriously soaked them – by which time I should have changed her already so my bad, not the diapers. 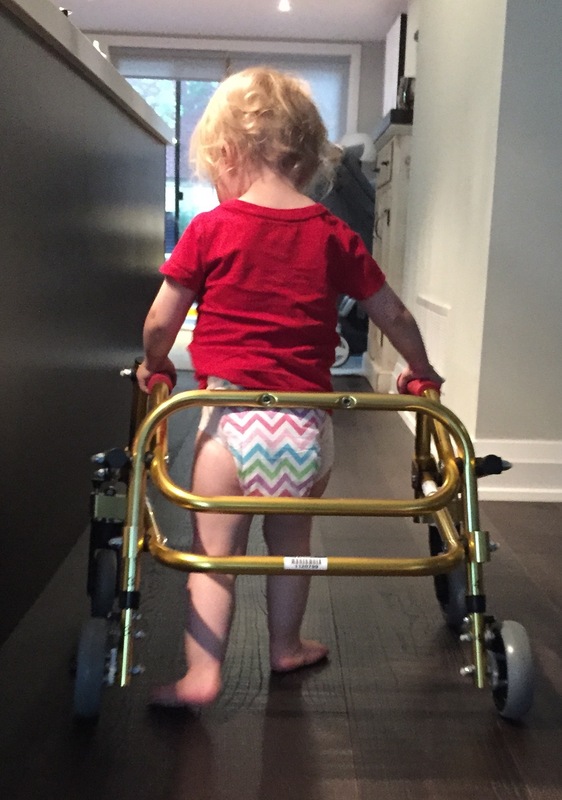 Unlike diapers that pass the test on infants then fail once baby starts to go, go, go, Honest Co. diapers held up, no problem. 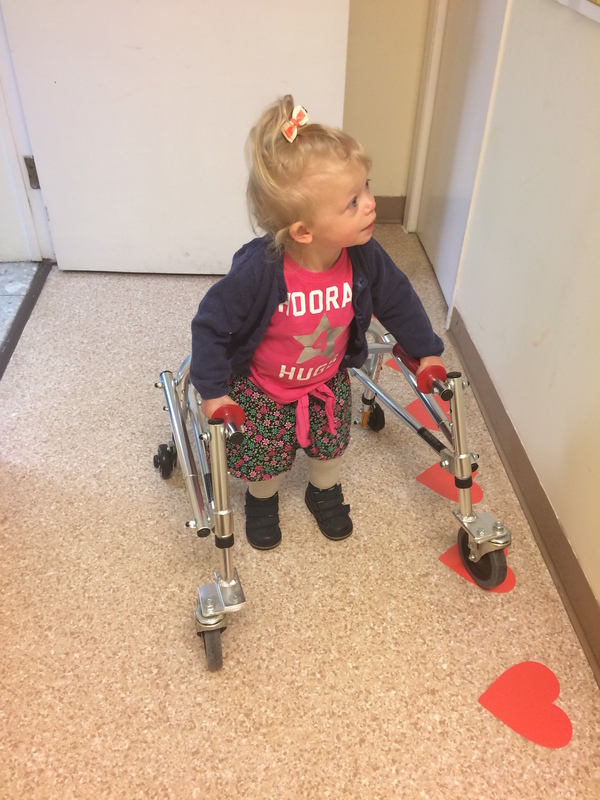 They are great for a toddler on the move. No matter what kooky moves she’s doing. The next product I tried is Honest Conditioning Detangler in Sweet Orange Vanilla Scent. Our little one has some serious issues when it comes to matted hair so I was very excited to give this one a go. First, I need to say this product smells divine. It’s light, fresh and sweet, not too heavy and definitely not “perfume-y”. It was refreshing as I tend to automatically select unscented products for no real reason other than I don’t like overpowering fragrance. 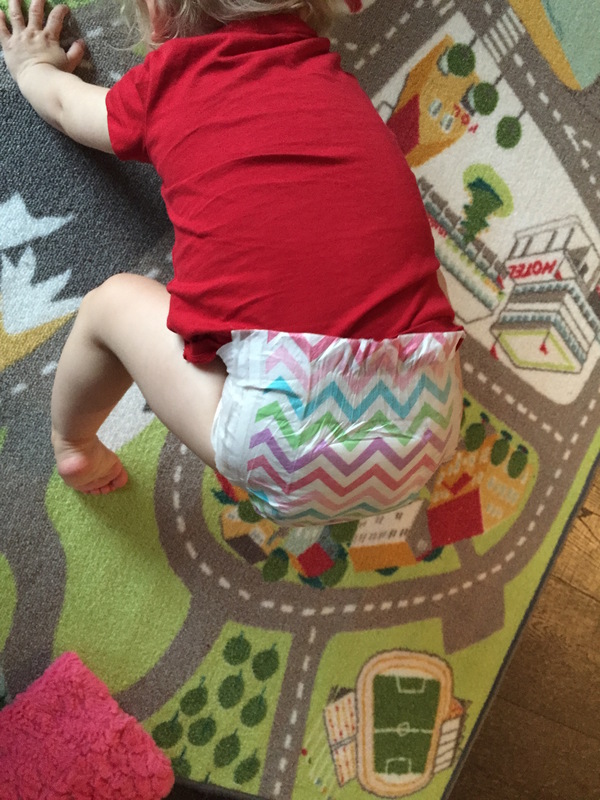 We don’t have allergies or scent sensitivities in our home. Second, it really works well. The spray provides great coverage so you don’t have to load it on. I have flat, straight, fine (knotty) hair and it easily tamed my tangles without weighing down my hair or making it look greasy. 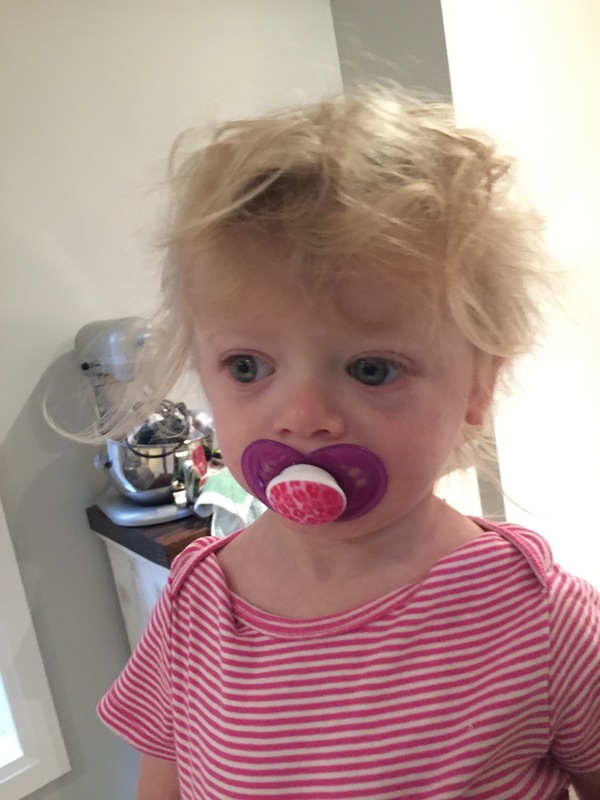 It made tamed Alma’s tangles too – which is the real miracle. This one was just for me, and thank goodness because I really don’t want to share. These balms use essential oils to condition and soothe lips rather than petroleum-based formulas that seal the lips off. There are 3 ‘flavours’ in the pack – Lavender Mint, Sweet Orange Vanilla and Purely Simple. 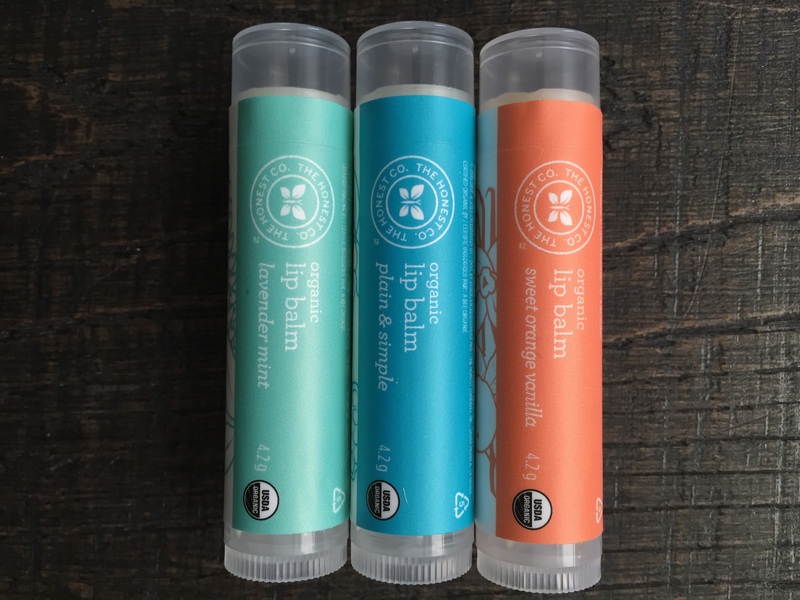 When it comes to lip balm, these are absolutely my favourite I’ve tried. I have one at my desk, one in my purse and one in my diaper bag. I describe them as Velvet For Your Lips. They are so silky and smooth. My lips have been soft and supple without the feeling that as soon as it’s worn off, I need to put it on again. I don’t usually get all worked up about lip balm, but I was waving these around work and singing their praises for days. And, with 3 for only $10.99, they’re a great little pick me up. 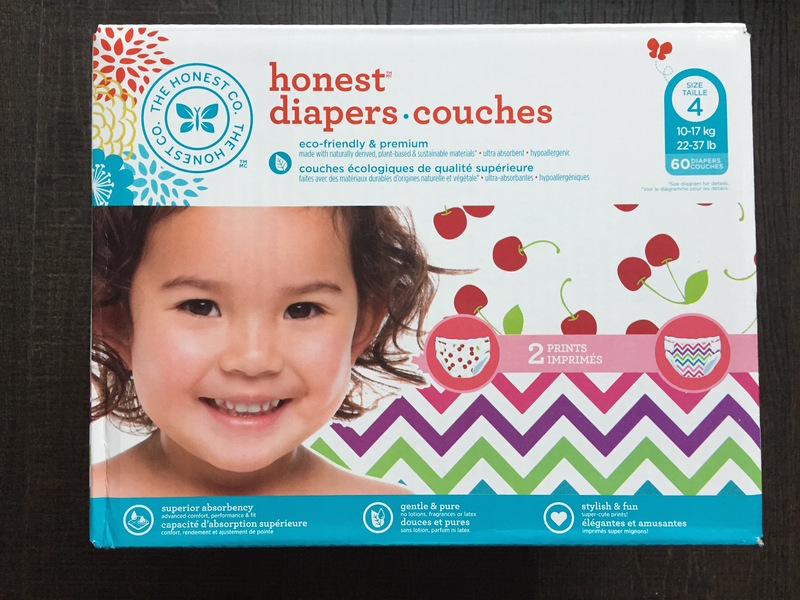 I have to say I had high hopes for The Honest Company products and these did not disappoint. I’m not sure what I’m most excited to try next – something else for Alma, or something else for me. I’m fairly certain whichever I pick, it will also find its way onto my most loved list pretty quickly. Do you want to try some Honest Company products too? 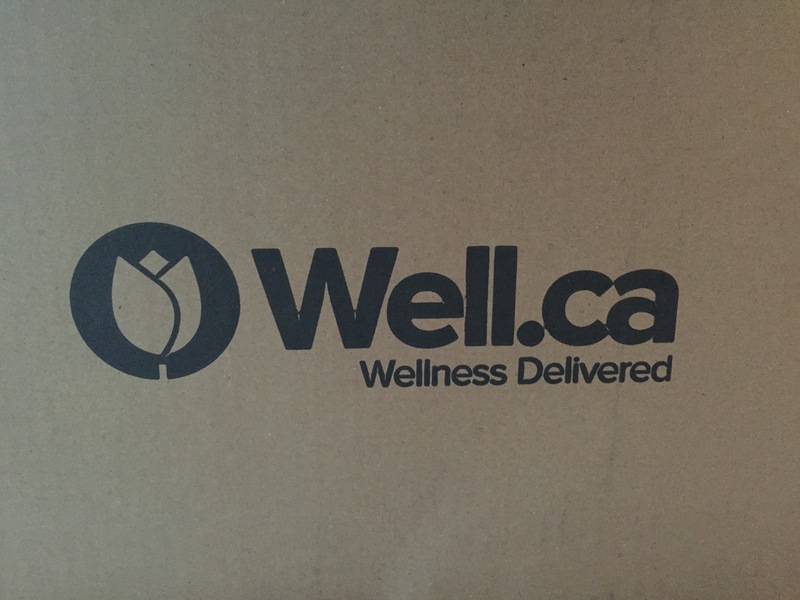 Enter now and you could win a $30 well.ca gift card code sponsored by Well.ca! With free shipping starting at just $29, the winner will be all set to go! Contest starts Sunday November 22 at 12AM and closes November 29 at 11:59 PM. Good Luck! See full rule and regs here. Very exciting! 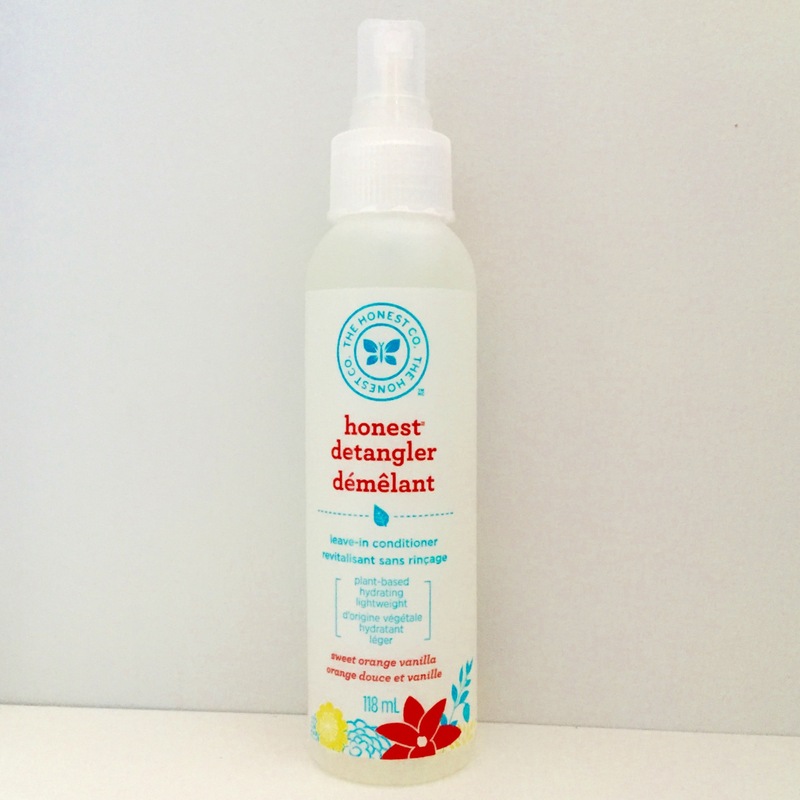 I would love to try out some Honest Company products- that detangler sounds great. And if their lip balm works well, maybe I can stop buying Lip Smackers, since I’m not 12 years old anymore. Okay those pictures… adorable. I’m always looking for a new lip balm and detangler! I can’t wait to try the detangler! The multisurface cleaner in white grapefruit sounds nice. Definitely want to try the sweet orange vanilla lip balm… just so long as it doesn’t taste as good as it sounds! Ha! Thanks for the chance! I’d love to try their home cleaning products! !